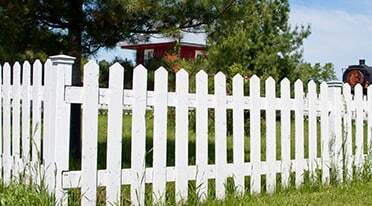 A fence should be more than just functional – it should also enliven your yard and add décor to your space. Protect your yard with a secure fence installation from All About Fence. 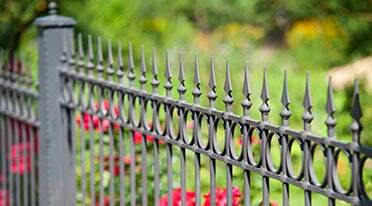 We are experts in the field of fence installation, with many years of experience. We have been proudly serving our customers and clients of the Pacific Northwest with customer satisfaction as our number one priority. Our quality of service speaks for itself. Feel free to browse customer and client testimonials, or trust the advice of your friends and neighbors who have worked with All About Fence. We will communicate honestly with you throughout the course of the installation. We are always here to answer questions and provide help. No matter your needs, we aim to impress with quality of workmanship and customer service. We are committed to the highest level of service and customer satisfaction. We have all of the resources to do the best job possible, in the shortest amount of time, and the least amount of disruption to you and your property. Each project that we complete for you also comes with a warranty specific to the job and type of fencing, so that you are able to rest easy that your fence will have a long life. Using only quality materials and without cutting corners, our residential and commercial fencing jobs will be set to last. I'm really pleased with their work. They're not afraid to try something new and go outside the box. It looks great! It turned out exactly how we hoped it would. It was clear from the start that Kyle knows what he's doing. The attitude that comes from experience and determination was evident. It was really easy talk to him and explain what we wanted. It turned out exactly how we hoped it would. The quality was great and they did it in a timely manner. I was very impressed. The quality was great and they did it in a timely manner. I would like to thank you for repairing our fence. Ryan and I are impressed with your commitment to deliver a quality fence. We will definitely recommend you to family and friends. We are very impressed with how well our fencing and gates now look! I asked for a string and handle to be put on the doors of the gates and they did it with no problem. The stain seemed a little orange to me at first but I am told it will lighten up. I am just glad to have the wood look thoroughly treated and protected by such a quality stain. It is one of the more longer lasting, so the color bothered me less knowing this! Competitive pricing, quality materials, professional installation, clean up when finished makes this a 5 star company. In addition, the installers were friendly, knowledgeable and informative. They are very professional and worked very hard during unbelievable weather conditions for the area. They installed white privacy fencing, black 6' cyclone fencing and over 300 feet of farm fencing for my pasture. The fencing looks outstanding and I am anxious to get them to do more farm fencing for me in the near future. I highly recommend this company for any fencing needs. Good service and good hard workers. The whole company is very nice and concerned about whether I liked the job they did. Very happy. They are punctual, professional and give beyond your money's worth. Great people to work with. I needed removal of an old raised flower bed with huge beams around it to facilitate a 24' roll gate. They arranged for someone to remove the beams and level the ground and haul it all away. Great clean up afterwards and the front yard looks so much nicer. We had them install approx. 200 ft. of the black chain link around our yard. Our ground was not level and some of the earth wasn't real stable so I was concerned that it would be difficult for them to make the post strong and sturdy. However, they dug the post holes deep and generous amount of concrete and the fence is rock solid. Two large walk gates were installed in the back and they work great. 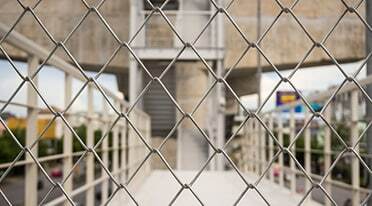 All materials seem to be of a heavy duty commercial grade of fencing and hardware. We absolutely love the finished work and have gotten many compliments from friends and neighbors on how beautiful the fence is and how it makes our older house and yard so much more beautiful. I highly recommend ALL ABOUT FENCE. Great job! Very professional. Nice crew also. All About Fence came up with a great bid, showed up on time, and completed their work on schedule. The fence looks fantastic and is solid as a rock. I will use them for future fencing projects. Thanks for a fantastic job!